A BUCKET OF WOW! Stephen Michael Schwartz, S-TEAM PRODUCTIONS, 2016. I was sitting on my front porch in my Amish rocking chair, happy in my enforced retirement, when a sketchy neighbor approached with a CD extended in my general direction. Please review this terrific album he said. Refusing to get off my lawn and extending a lemon meringue pie from his other hand I bade him into my presence. I grabbed the pie and wished him good travel and tentatively took the CD called Bucket of Wow! by the artist known as Stephen Michael Schwartz. I’m always wary of any CD with an exclamation point. I ate the pie and listened to the CD. 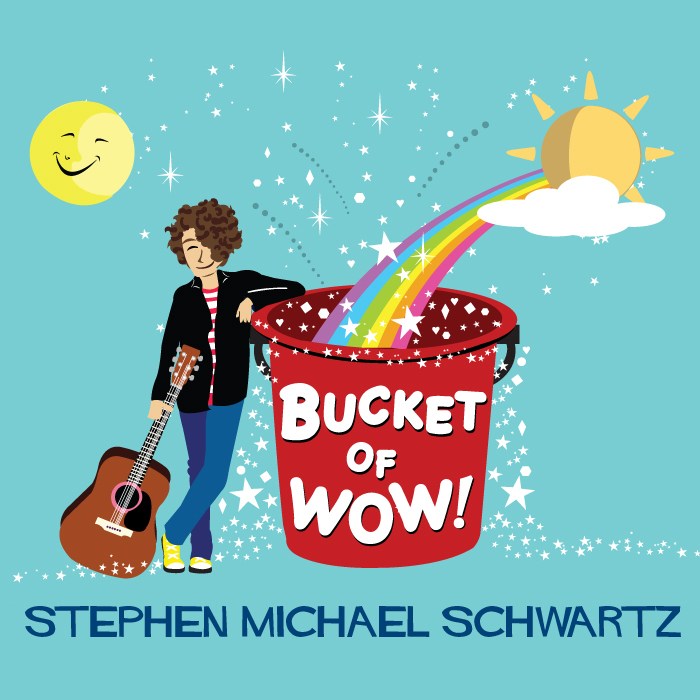 There was no reaction to the pie but I had a major reaction to this amazingly produced and performed CD by the artist known as Stephen Michael Schwartz – What could go wrong didn’t and what could go right did. Beautifully crafted songs with elegant production and heartfelt-embracing vocals touched my cold heart and made me Breathe Again – Just like Toni Braxton in 1993. I don’t review many albums these days – I thought I had writer’s block but found out I’m just lazy. I could tell you how cool each song is but that is too much work. Get this CD. Cherish it because your children will love it and you will be a verified Rock Star Parent for buying it. Bottom line and at the end of the day (cliche’ alert), it’s just that good…here it comes…a double !! 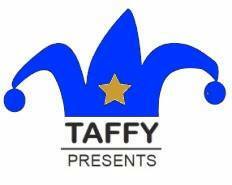 Available at KidzMusic.com. John Wood purportedly reviews for KidzMusic.com.